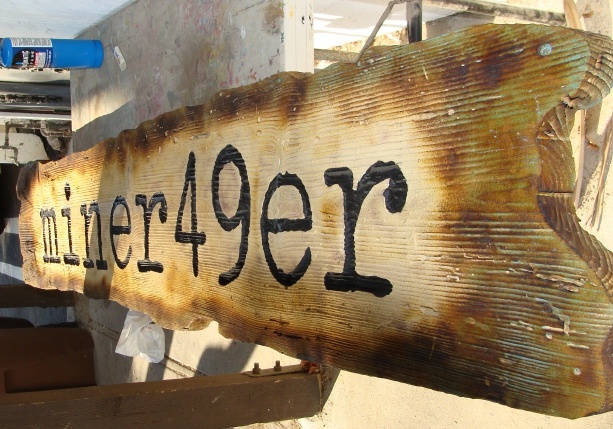 This rustic Red Oak "Miner 49er" sign has been carved leaving the text and border elevated. The background is sandblasted and then scorched with a torch on the edges to give a burnt and aged appearance. It is not clear-coated. This sign can be mounted on a interior or exterior wall, a post, or hung from a wrought iron scroll bracket or beam supported by two posts.